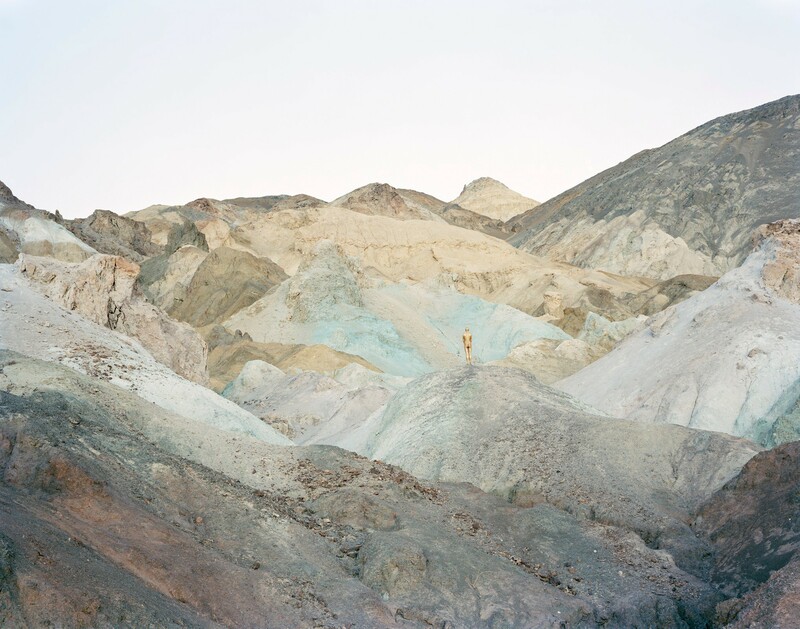 A naked man stands in the middle of the landscape of Death Valley in California. Is his body blending into the background or standing out? Nature and mankind are both presented as bare, natural, and raw. This self-portrait of David Benjamin Sherry was produced as part of the book It's Time—a beautiful collection of hypersaturated images of sceneries and still-lifes in which humans become inseparable from the landscapes surrounding them.